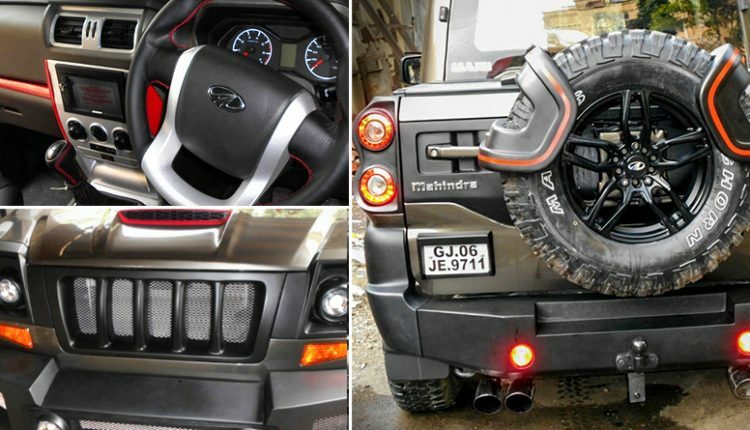 Mahindra Scorpio Mountaineer is a factory custom version of the car that comes along with other modified products based on SUVs like Thar, Scorpio, and Bolero. Mahindra is offering options on almost every stock car and the Mountaineer can be had on both 4×2 and the 4×4 variant of the new Scorpio. The increased ability and powerful presence of the car can be enjoyed better in the 4×4 guise as components used here support rough road driving and helps you explore the unknown places in a better way. 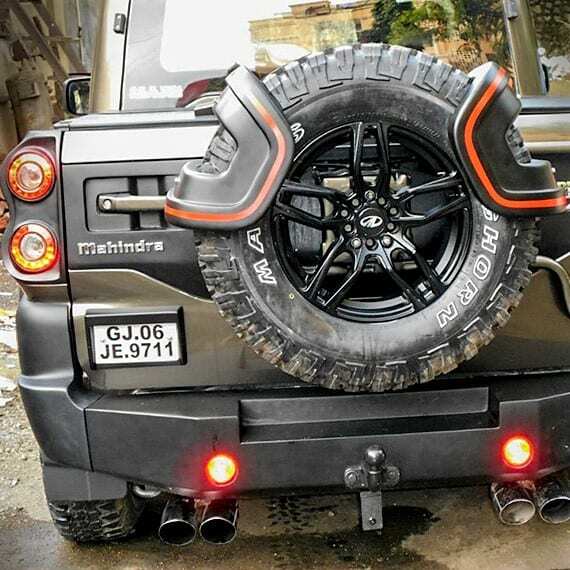 Mahindra is not just offering a body kit as buyers will also get an enhanced suspension, better tires and different set of bumpers for the car. The high-performance shocks on the advanced multi-link suspension help the driver get over every possible obstacle while 17-inch alloy wheels with Maxxis Bighorn tires guarantee exceptional grip over the surface. 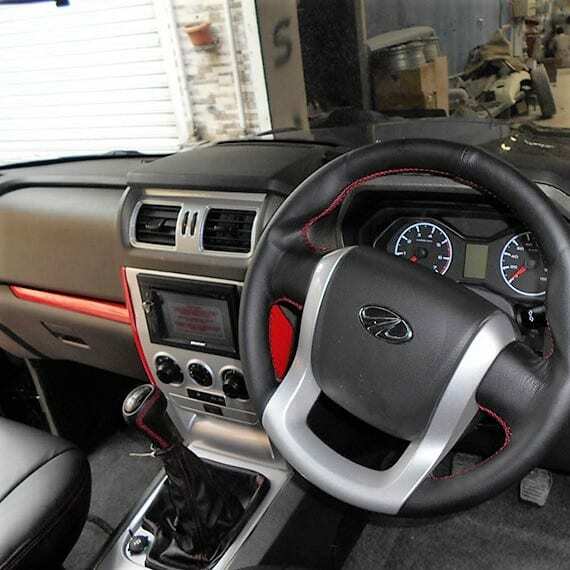 The alloy wheels are finished in gloss black shade while additions to the body are more than expectations. The side profile now flaunts a two-seat capacity with covered deck for the remaining length. 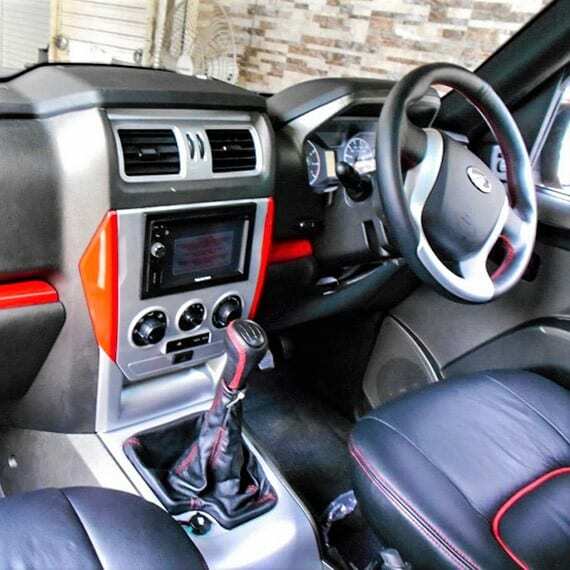 The car looks more like a Getaway from this profile but here, the seating is restricted to two only. 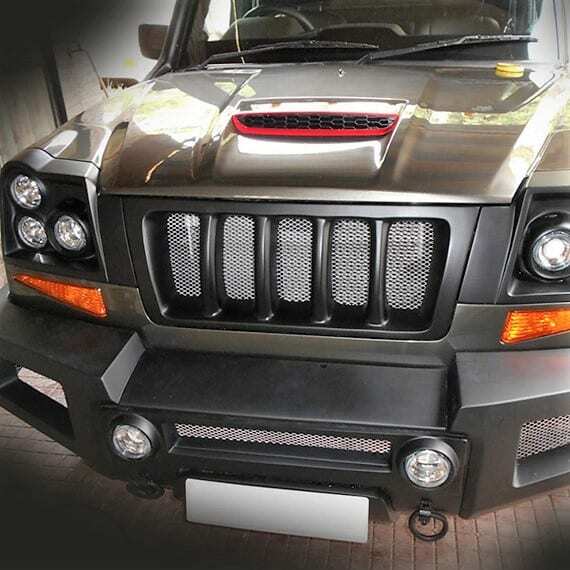 The fenders are available with thick cladding with integrated indicators. The front CRC metal bumper improves the off-road capability by improving the angle of approach while functional snorkel adds water wading to the specifications. The stock headlight is replaced with this three-piece unit while front bumper also has two neat fog light inserts into it. The rear comes with a spare tire holder like the stock car but space over the tail light is now empty with the use of pick-up body style. The exhaust exits are total four in number while how many are functional is not known. 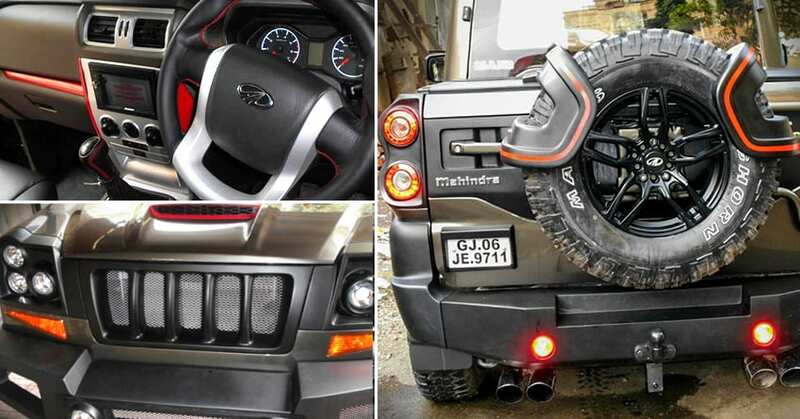 The car comes with two different engine outputs and getting the 140 BHP power output is a better choice for those who are looking at off-road driving.